Fresco is a technique of painting, specifically murals, on freshly laid plaster. Water is used as the vehicle for the pigment and, with the setting of the plaster, the painting becomes an integral part of the wall. 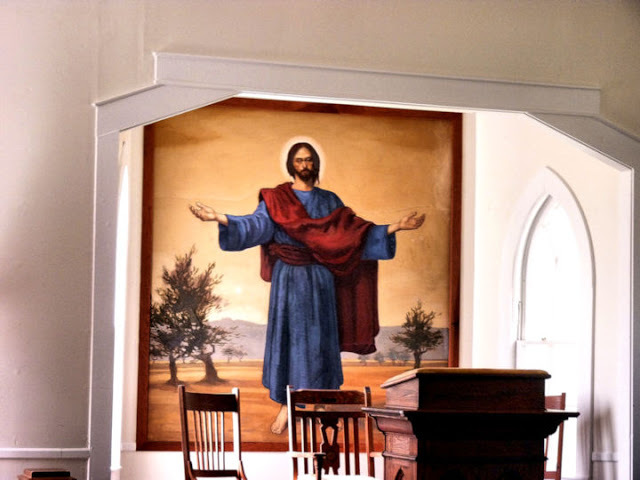 A Fresco mural has been painted in the Rockford Methodist Church - a Gothic Revival frame building constructed in 1914. 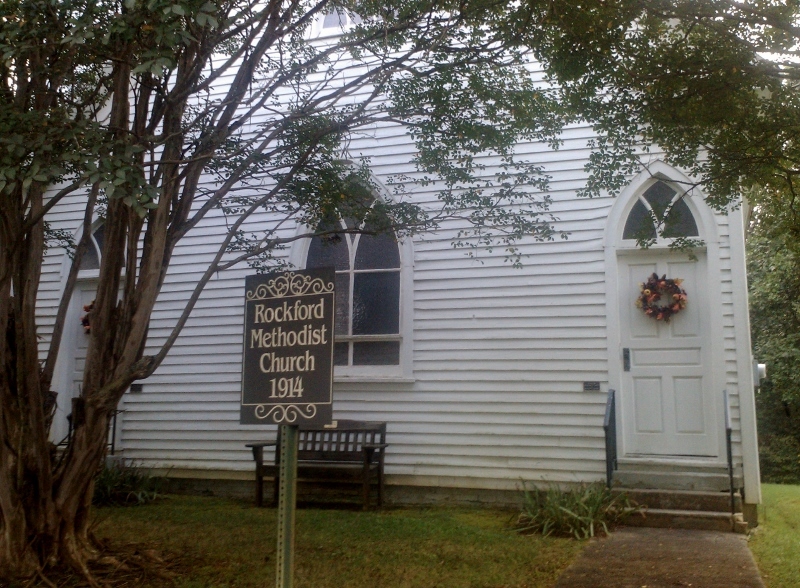 The church was closed in 1967 but since 1984, the Rockford Preservation Society, Inc. has been restoring the building. 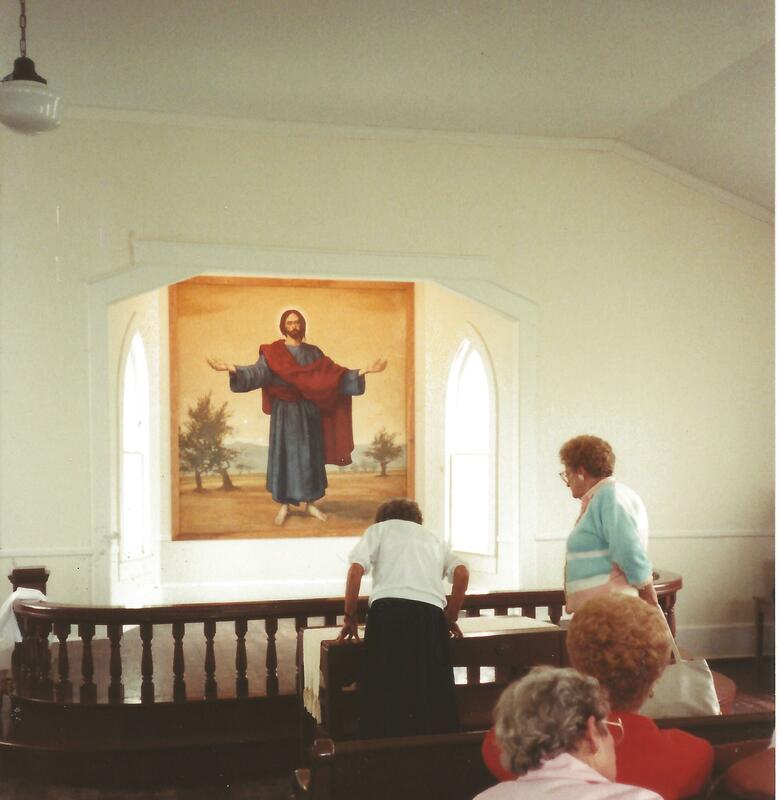 In 1989, they commissioned North Carolina born yet classically trained painter, Tony Griffin, to paint the fresco “Come Unto Me” behind the altar. As a youth, Tony Griffin lived in Italy and was a young apprentice with Italian fresco artist Ben Long.